Are you on the plus side of 62? Have you dreamed of buying a new, low-maintenance home in a neighborhood close to friends and family with upgraded features and energy efficient appliances? How does a one-story home in a community with walking paths, a club house and planned activities for you and neighbors just like you sound? If you’ve considered selling your older home and making a “rightsizing” or “downsizing” move, but don’t want a large monthly payment or a dip into your retirement savings to pay for it, then you need to learn about a powerful alternative to using traditional financing or paying cash. This strategy, called a Home Equity Conversion Mortgage (HECM) for Purchase, aka H4P, was introduced in Texas in November 2013. The H4P program allows borrowers, aged 62+, an opportunity to dramatically increase their home purchasing power, eliminate monthly mortgage payments and get the house they really want while preserving their life savings. You’re probably thinking, “What’s the catch?” or “This sounds too good to be true…” Well, you’re not alone. I often get that reaction when introducing the H4P. My goal today is to alleviate some of those concerns and explain how this FHA-insured program works. That’s right, the H4P is an FHA-insured program! You and your spouse (if you’re married) must be at least 62 years old. The H4P program may only be used on your primary residence. The money brought to closing must come from current asset accounts or a gift; it cannot be money acquired through debt. It’s that simple! If you meet these qualifications, you’re on your way to purchasing your dream home without depleting a large portion of your retirement nest egg. Although the H4P eliminates the need for monthly mortgage payments, it does not erase home-ownership responsibilities. You’ll still need to pay your property taxes and homeowner’s insurance, maintain the home and cover any homeowner’s association dues. FHA requires a “financial assessment” as a condition of securing this loan. The assessment helps determine the homeowner’s ability to pay these ongoing costs. FHA also requires every prospective H4P borrower complete a counseling session with an independent, HUD approved counselor. This session can be done over the phone or face-to-face and provides you with an impartial education about the H4P program. What do I mean when I say “the H4P program is FHA-insured”? All FHA loans require insurance premiums (both upfront and annual) be paid into a “Mutual Mortgage Insurance” (MMI) fund. Just so you know, this insurance pool has been around since 1934. If you (or your heirs) decide to sell the home and discover the loan balance exceeds the home’s fair market value, then the lender collects the deficiency from the MMI. There is no recourse to you or your heirs for any mortgage payments or deficiencies. Occasionally I hear from folks who believe the bank owns the home. I need to be very clear here…you (and your spouse) are the only ones on legal title. The H4P simply creates a mortgage lien similar to the lien created with traditional financing. If you maintain the home as your primary residence and keep the property taxes, homeowner’s insurance and HOA dues current, the lien does not have to be paid and you can live in your home without mortgage payments until the last borrower vacates. If you decide to sell the home, any equity remaining after the mortgage lien is paid, is yours to keep. As mentioned earlier, should there be a deficiency, the FHA mortgage insurance fund will cover the difference and there is no recourse to you (or your estate). Congratulations! You’re now aware of a little-known strategy that allows you to leverage your retirement income and eliminate mortgage payments while enjoying your golden years in your dream home. I welcome a call or an email with questions you may have about this program. I’m happy to schedule a face-to-face meeting with you and your family and/or financial advisor to discuss details specific to your situation. I look forward to hearing from you. Still looking for your dream home? 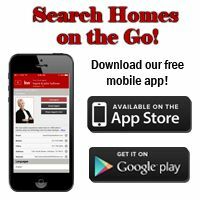 Let Ingrid and John Sullivan and Senior Downsizing Experts help you! We can assist you in selling your current home and finding your new home. Call us at 817-330-9235 or start your search here!